Daniel Radcliffe. One minute he’s a boy wizard, then next he’s a farting corpse, the next he’s infiltrating a gang of Neo Nazis. It’s hard not to have a soft spot for the man. Kind of like it’s pretty easy not to have a soft spot for Neo Nazis. Take em down, Dan! Avada Kedavra! Skinheads have been well represented in film this year, with Green Room, the story of a punk band falling into the hands of murderous Neo Nazis, being released a few months ago (RIP Anton Yelchin). And now there’s Daniel Ragussis’ Imperium, which sort of looks like The Departed, just with more Radcliffe and more Skinheads. 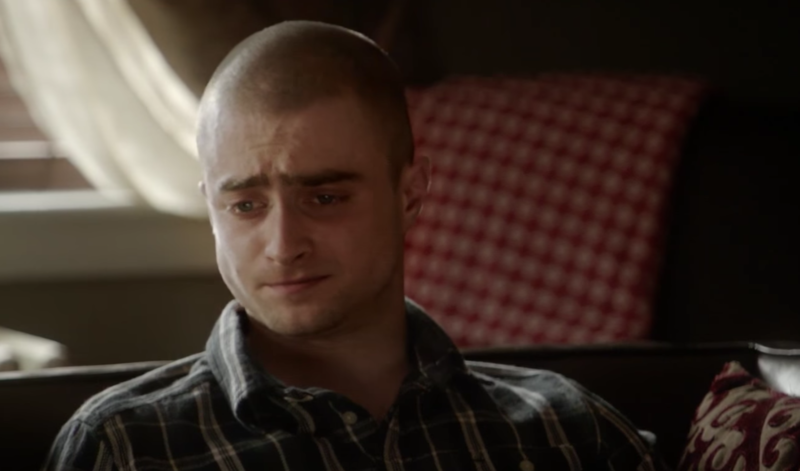 Who doesn’t want to see a showdown between Daniel Radcliffe and the worst blokes this side of Voldemort? The answer is nobody. We all want to see it. Imperium stars Daniel Radcliffe, Toni Collette, Tracy Letts, Sam Trammell, Burn Gorman and Nestor Carbonell and is set for release in the United States in August, 2016.